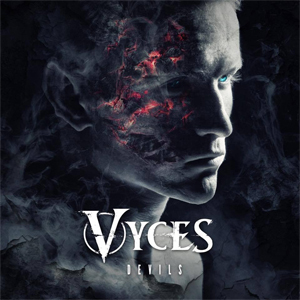 Los Angeles, California Independent Hard Rock Band VYCES are streaming their debut EP Devils today and you can listen to it below. The debut EP, out now, was produced by Augustus Cryns and can be purchased on iTunes HERE. The band is currently co-headlining the HELLRZZR Tour with INVIDIA and WHITE KNUCKLE RIOT. The video for “Devil” was shot at Tiger Lab Studio in Van Nuys, CA and can be seen on KNAC.COM right HERE.